Exciting stage adaptation of the all-time classic “The Wizard of Oz” . Sri Inai Beaconhouse International School pulled out all the stops for this show: there are elaborate—and gorgeous—costumes, a band, and the cast is huge. With digital background effects, some of which elicited applause from the audience during the show. The choreography, the staging and the visuals were all pitch perfect. Credit to Mr. Qassem as the director of this brilliant show. 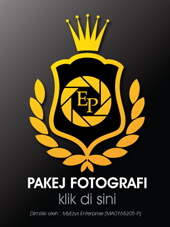 Thank you for hiring Ezaniphoto as the official event photographer.